Graphic designing is the art that creatively represents your business marketing needs through graphics. 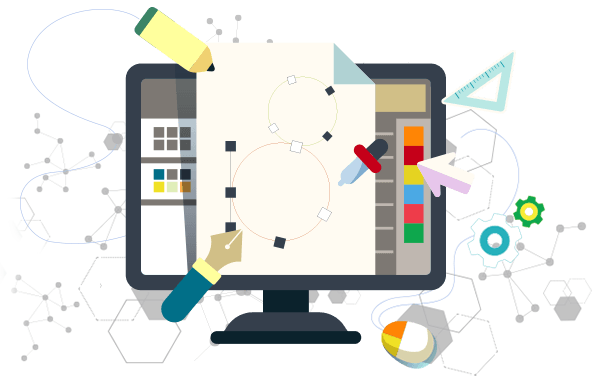 Graphic designing is in great demand for various advertising, communication, and print requirements. The need of a good graphic design for your business distinguishes you from the competition and effectively markets your brand, and strengthens your product and service offerings among the customers. We can create branding excellence for your industry and help you to make your brand image with our creative and innovative skills which will help you to deal the competition in this fast growing world of globalization.